Lady Fable: Sneak Peak: Samantha Wills "The Wanderlust"
I was lucky enough to have a preview for the up and coming Spring/Summer line for Samantha Wills' new collection, "The Wanderlust". One word, Amazing! 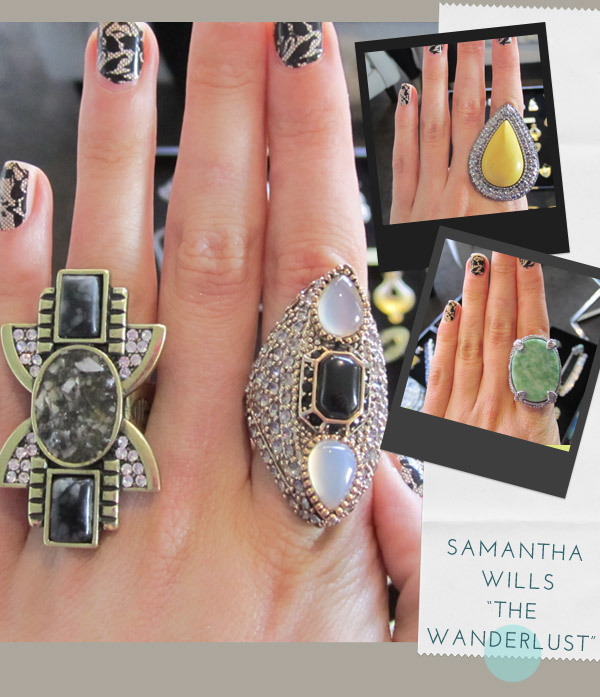 The Wanderlust is inspired but Samantha's experiences and adventures when exploring the world. The range has a strong pallete of corals and turquoise with hints of cobalt's and yellow. I was greeted with tables set up with the collection. I am very much a ring girl but I was mesmorised by the great statement earrings. Samantha's range has a strong bohemian theme with a hint of sparkle, which it is encouraged to wear both either day or night. 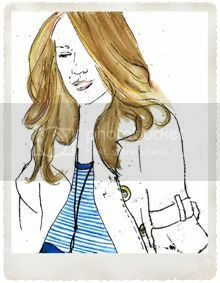 Samantha Wills is all about, layering, no rules and big statement pieces. Please see my highlights of the range. All product will be in store from July. 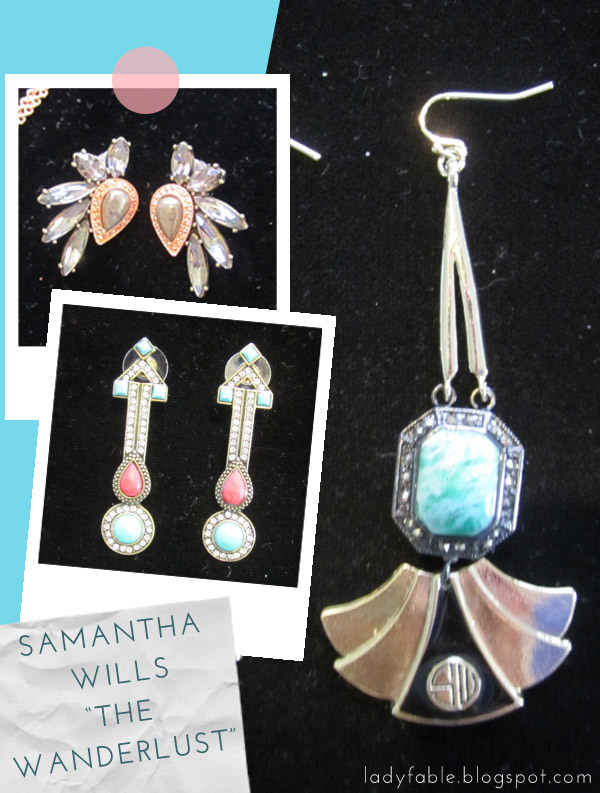 Check out the Samantha Wills website for stockists and more details. How amazing are these earrings!!? ?